When thinking of ways to beat stress, changing the environment often comes to mind. There is something in altering our surroundings when we feel overwhelmed by our current circumstances. Going for recreation never fails to create a great sense of joy and eventually restores some fun back into our lives. Cayet's Cabin Resort offers a place where you can leave the real world behind. It is a quiet place where you can live in the moment, de-stress and relax. From the gate, the walkway to the left leads to the pavillion welcoming every visitor. To its right, is the parking area leading to Cayet's Cabin Resort lawn and garden. The pavillion serves as the dining and entertaining area. It has a Full Kitchen with refrigerator, Two-Burner Gas Stove With Gas Fuel, Outdoor Grill, Hot & Cold Water Dispenser for guests to use. There is a daybed on the right side of the kitchen bar---perfect for catching a quick nap to overcome midday stress or to simply take a siesta after lunch. A Karaoke machine is also available for recreation. There are several nooks in the resort wherein you can immerse yourself in a book or a nap. Kids would love the open spaces and lounge areas around the cabin. The resort is simply breath taking. 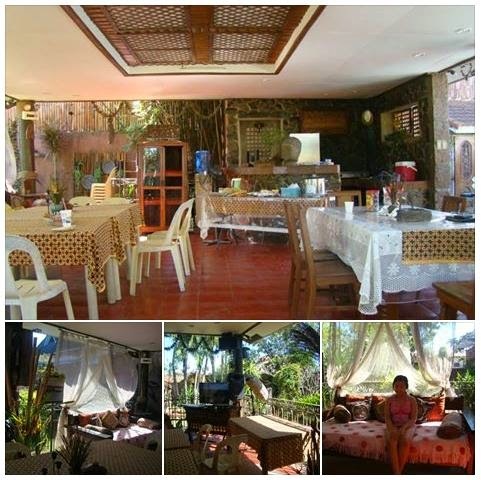 If you are looking for a well-maintained, furnished and competitively-priced getaway, then Cayet's Cabin Resort is for you. It is a pet-friendly resort as well. Your furry friends would love roaming around its open spaces. The rooms are pretty clean and minimal. Balinese theme decors blended with Filipiniana items add charm and character to the place. There is an adult pool and a kiddie pool. 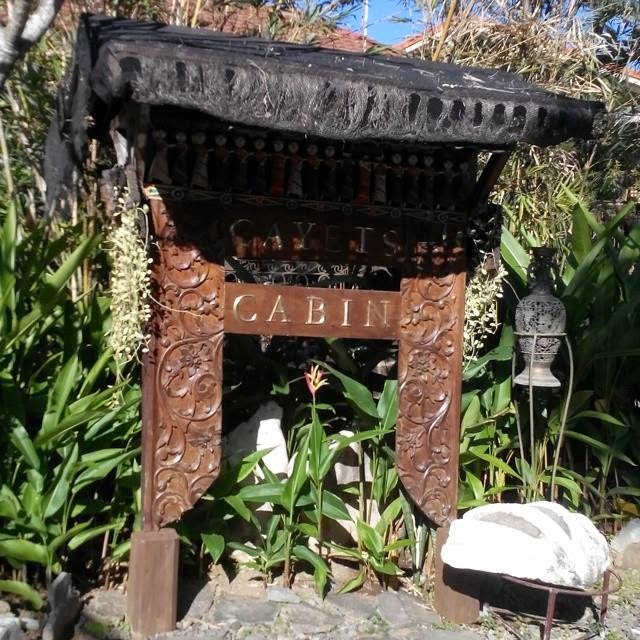 Cayet's Cabin Resort has 2 villas with a total of 7 Balinese theme-inspired rooms---6 family rooms and 1 huge, ultimate barkada room (near the pool area) which can easily sleep 10 guests at the least. Cayet's Cabin Resort is a beautiful, private resort. 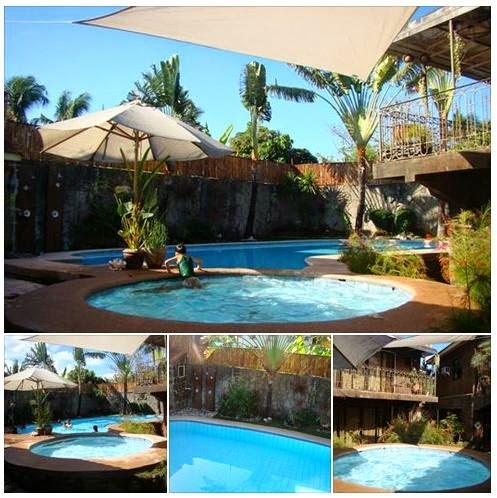 It is a perfect place for your family vacation or barkada getaways. You get to enjoy quiet nights and fun-filled days for the duration of your resort stay.